You are changing home and therefore may feel nervous or apprehensive, but please don't! We at Risedale Rest Home understand exactly how you feel and are here to make you feel completely at home! 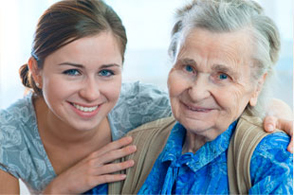 Our staff are fully trained and are committed to deliver the very best of care to all residents. We are all very approachable and we take our residents' satisfaction and well-being very seriously. Risedale is situated in an excellent location in the heart of Whitley Bay. It is very close to the sea front, local shops and both metro and bus stations.